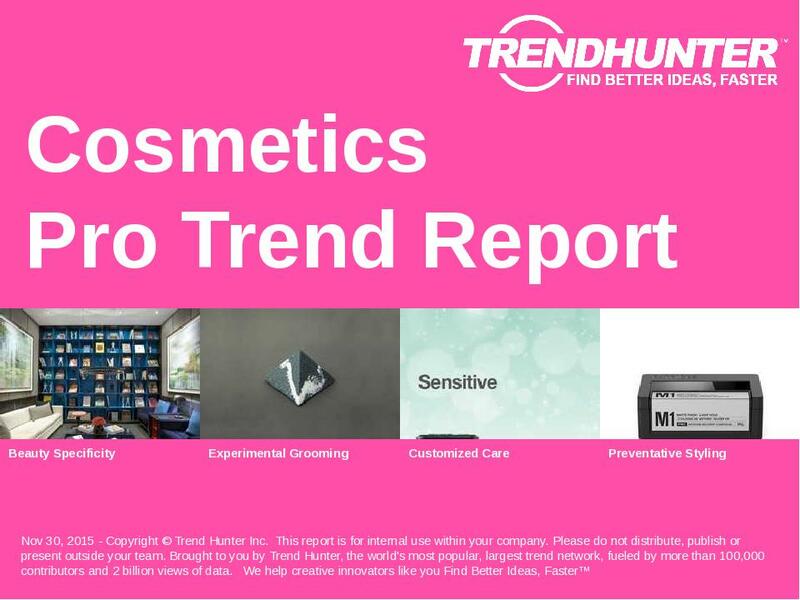 Find Better Ideas, Faster ® with a cosmetics trend report, our PRO Dashboard and 80+ categories of premium trend reports. The Beauty Trend Report is a collection of makeup and beauty trends that provides insight into the beauty industry. It uncovers an array of makeup trends over the past year including patterns in plastic surgery, eye makeup, lipstick, mascara and other beauty supply innovations. Whether you are an established cosmetics company like L’oreal or Sephora, a makeup artist equivalent to Patricia Field or an entrepreneur just beginning to venture into the makeup market, you will benefit from the research provided within this report. The Beauty Trend Report will provide your company with an insightful view into the mind of the cosmetics consumer, serving as a navigation tool through the ever-evolving realm of makeup. Last researched on Apr 16, 2019, the Cosmetics research topic includes our full archive for the last few years, including 409 Cosmetics insights and 2,204 examples of cosmetics market research, including: cosmetics trends, makeup trends, beauty supply, makeup, mascara, lipstick, eye shadow, Patricia Field, L'oreal, Sephora and cosmetics trends. PLUS, the report is now bundled with the full Trend Report Library, including 80+ categories of reports and our past archive, including several thousand pages of insight. PLUS 401 more Cosmetics Consumer Insights and 2,204 examples!